Record real estate purchases in the CEE-6 markets were recorded in 2018 as volumes hit new heights, but investors in the Czech Republic and the rest of the region need to be increasingly wary of other risks in this “thinner air”, according to Colliers International, global industry-leading real estate services company, in its latest research report, “CEE 2019 Outlook”. 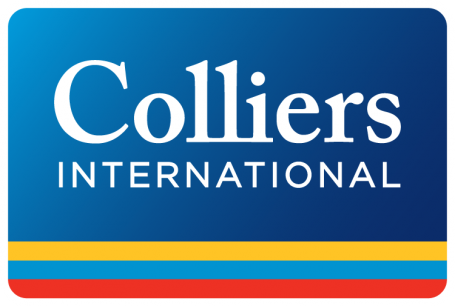 Colliers International said the volume of real estate purchases in the CEE-6 markets (Czech Republic, Hungary, Poland, Slovakia, Bulgaria and Romania) was EUR13.8bn in 2018, up 5% from the year before, with the Czech Republic posting the second highest amount in the region at EUR2.615bn after Poland (EUR7.21bn). The majority of this investment in 2018 went into the Office segment (EUR5.674bn), followed by Retail (EUR4.633bn), Industrial (EUR2.841bn), Hotel (EUR346mn) and other (EUR254mn). Colliers International says the most important macro indicator for CEE real estate this year is Eurozone interest rates, which it sees flat-lining at zero, which should stem some of the potential angst over tightening credit conditions, keep liquidity high and buyers interested, and help pricing to plateau in 2019. Yields continued their downward momentum in 2018, but only in CEE capital city office and some selected retail transactions. For the Czech Republic, Colliers International sees prime yields remaining flat in 2019 at 4.75% for Office, 5.50% for Industrial & Logistics and 4.75% for Retail. Colliers International finds consumer sentiment appears to drive fund flow momentum in CEE real estate, with the EU ESI consumer sentiment CEE-6 investment flows closely correlated to with an 18-month lag. Colliers International sees the Logistics sector as a good hedge against key regional risks such as overheating construction markets, politics and Brexit, and disrupters. “We believe, as we set out in our Sept. 2018 report ‘Survival of the Fittest’, that there is room for both online and traditional/omnichannel retail to keep growing in the CEE-6 out to 2022. That said, early indications of e-commerce volumes in the Czech market for 2018 are suggesting a market size perhaps higher than our top end estimate,” Robinson said.